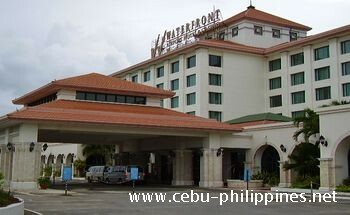 An elegant 4 star hotel located beside the airport, Waterfront Airport Hotel & Casino Mactan Cebu is a convenient and short trip from the airport and only about 15 minutes away from the beach. There is an upscale restaurant and lounge with international cuisine and themes. The service is of a superior quality and the price is reasonable with a touch of class. There are 164 rooms that are all in good condition and most of them have been recently renovated. There are both poolside rooms and grand suites. Indulge in a relaxing massage and then take a dip in the Jacuzzi!